Whether you are new to the vinyl world or just looking for a new, safe way to display your turntable, a record player stand could be the purchase you need to make right now. 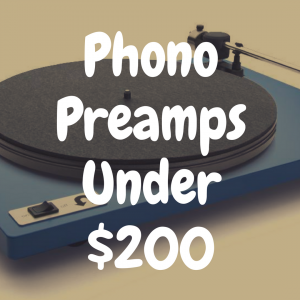 And if you’re in need of a new turntable to go along with a potential new record player stand, be sure to check out some of the more popular turntables on the market below. What to Look for in a Record Player Stand? During the early 20th century, vinyl records were all the rage. A warm, whirring sound resonated throughout a room every time the record player spun, and as the main way to listen in that time, it was the only thing you were familiar with when entertaining guests. While subsequent years may have set back the popularity of the classic record player by a few points, it sure hasn’t caused them to disappear. In fact, as of late, records are starting to regain their popularity as hipster, millennials and collectors are snapping up vinyl in bulk. 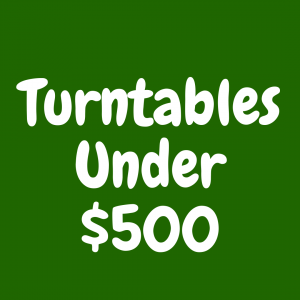 Ever since the mid 2000s, turntables have been on the rise, and that has a lot to do with how a turntable looks in a living room or bedroom. Records have become not only a means of hearing music, but also wonderful decorations and functioning timepieces. 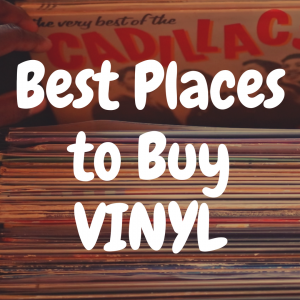 Without a doubt these collectors have dozens of records that they love to put on repeat, so naturally there are going to be plenty of ways to store those treasures; here are just a few of our favorites. While you could just get a generic media cabinet for your record player and vinyl collection, a stand that is actually made for a record player is completely different. The design of a record player stand will ensure the long term preservation of vinyl. As any vinyl collector will tell you, records should never be stacked, instead they should be standing. Stacking vinyl will deteriorate the sound quality over the years as the records will warp leading to a poor listening experience and ultimately a waste of money. The stands below will be able to store all standard record sizes so you don’t have to worry about measurements with a generic media cabinet. Secondly, depending on your living situation, whether its a dorm, apartment, or home, you can get a record stand for just about any price point. 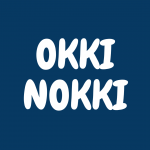 So if it is something you don’t plan on holding for several years while also extremely compact and affordable, a stylish yet affordable option could do the job better than an expensive, bulky piece could. If you are looking for a centerpiece in your living room that has mid-century modern look, then you might need to spend a bit more money. For a guide to these different types of turntable stands, look no further! Here are ten to take a look at while shopping. The classic mid-century modern design of Crosley’s Everett Record Player Stand is the perfect compliment to your treasured turntable. The finished top is sized perfectly to accommodate most component – style record players. Tucked behind the door are wire dividers — to keep your records organized — and an accessory shelf, which is perfect for your odds and ends. Unadorned lines and genuine metal accents round out an authentic design that speaks to a simpler time. 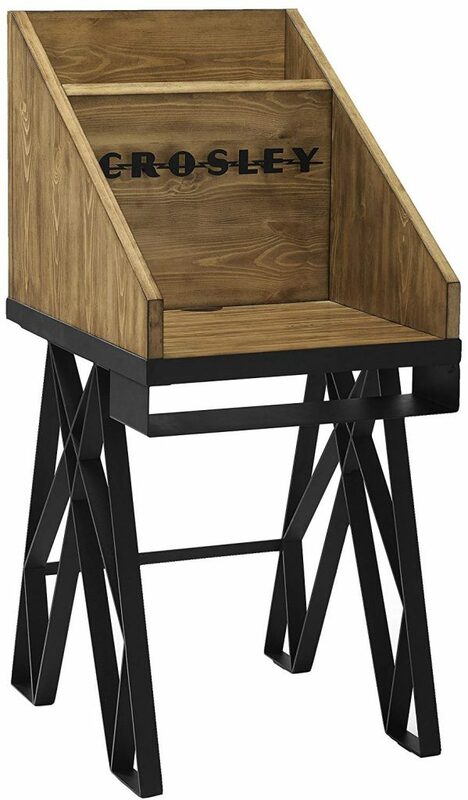 Combined with Crosley’s reputation for quality craftsmanship and design, our Everett Record Player Stand is a timeless piece you will enjoy for years to come. The option to shut a door and keep your records organized and unexposed is great for matching furniture, not to mention this stand’s great price. Give your record player pride of place. Custom-designed and built as a companion to Crosley’s new component turntables, the Brooklyn Turntable Stand embraces the industrial elements of skyscrapers, while sticking to the roots of modern woodwork. Constructed from solid hardwood and veneers rubbed to an antique, distressed finish, and standing on sturdy steel legs, this piece is easy to assemble, but built to last. The platform, perfect for any turntable, sits below a 3D-punched metal Crosley logo. There’s also a handy bin for storing your favorite vinyl selections. Beneath the platform, a narrow shelf is perfect for placing other components like a speaker bar or pre-amp. The great thing about this stand is that it resembles a record store a bit with its elevated record organizer. It also look retro while staying able to fit in to more modern outlays in your home. The natural finish is a nice touch on a wonderful piece. Keep your vinyl LPs nice and organized courtesy of this sleek storage system in a sweet vintage-inspired design. Features 2 flat shelves for display, a bottom record rack + color pop finish. The deceivingly small stand not only holds your record player but a lot of records, which is great considering how small it really is. The wire look is not for everybody but it is sturdy, despite how it may look. This is a favorite of many who lives in dorms, or maybe are not too concerned with matching furniture. This does not mean that this is not a stylish option, it just does not have the same grandeur as a wood stand or even metal. Urban Outfitters does a great job of providing affordable options with their record player stands, but a few more from them are worth a look as well. This is an essential vinyl storage table in a color pop finish with room for records, a record player and even speakers. Perfectly sized to fit in any space. Durable metal construction is utilized to provide for long-lasting use. Another wire option from Urban Outfitters, but this one is a bit lower to the ground and holds more records than the UO option above. The color options are a great choice if you are looking to make a statement with your stand, and to be honest, why not get stylish with something you spend so much time and money using. Even if you go with a neutral color, this still pops and looks much nicer than its affordable pricetag. The last of three choices from Urban Outfitters, this is part of the much-loved Marte collection. This is labeled as a media console that brings a modern, bohemian aesthetic to your space, but is often utilized as a turntable stand, including in the pictures. With 2 rattan-covered doors in a natural finish that hinge open to reveal interior storage. Complete with simple block handles and four sturdy removable legs, this more expensive option is worth every penny. The look of this console makes up for its almost $500 pricetag, and to be honest, if you have the space and cash, this console needs to be in your home or office. Whether you’re keeping your records and vintage player on hand in the den in case of impromptu dance parties or placing it in the entryway as a catch-all storage solution, this design is sure to please. 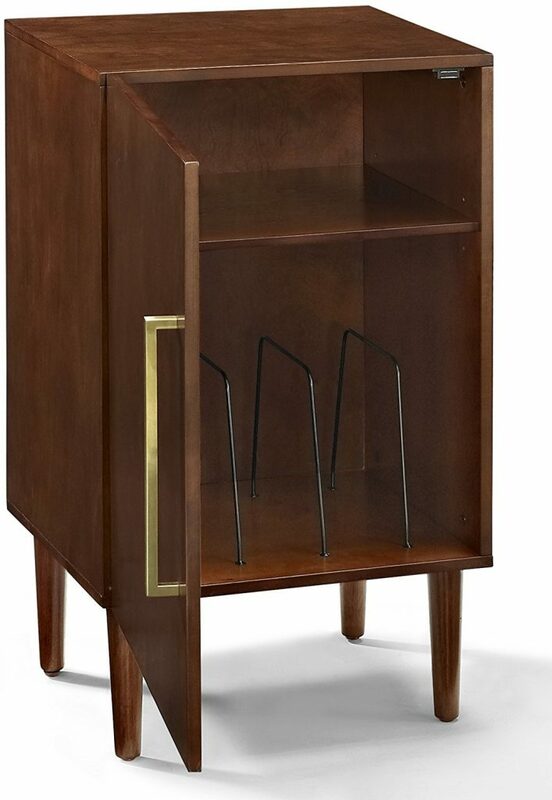 Crafted from manufactured wood and awash in a deep mahogany finish, it exudes an accessible mid-century modern appeal. Inside, wire slots store approximately 75 albums, while an adjustable shelf makes room for your retro player and other accessories. The great part of this piece is its mid-century look that utilizes modern manufacturing. If you have mid-century furniture, great. If not, this blends in well, and its’ deep finish helps it to mend into any outlay in your home. Add a blast from the past with this turntable stand with drawers that looks great and stores a lot. Inspired from mid-century design, the laminated particleboard and MDF complement the black metal hairpin legs for a fun retro look. The medium brown or white wood grain finish pairs well with any décor from modern to classic. The double wide stand offers plenty of space to place a record player, speakers, and stereo or even decorations. Keep your remotes, cassette tapes, and record mats or weights for your singles stored away and organized in the 2 drawers. The drawer cutout gives the stand a clean, No-handle look that is easy to open. Keep all of your albums organized in the large open cubbies that feature metal record dividers to keep all of your albums upright. This turntable stand with drawers ships flat to your door and 2 adults are recommended for assembly upon opening. The Stand can hold up to 60 lbs. while the cubbies will hold 20 lbs. each, with Each drawer can hold up to 15 lbs. This is a favorite of a lot of people I know who love their collections, and love showing them off. 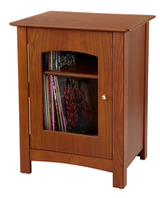 Decorate your home in modern style with the Goodspeed Record Storage End Table, a piece that unlike many on this list does not look like it was made for records, but has them in mind every step of the way. This table is perfect for use as a side table next to your chair or sofa in your living room, as a record storage table next to your turntable in your entertainment space, or even as a nightstand in a bedroom. This end table is constructed of a metal frame with a black finish, a clear glass top, and a walnut brown wood cube. Bring modern style into your home with this gorgeous metal storage table and look sneaky while doing it. This is an option if you share a living space with someone who wants the turntable stand to be a bit more decorative and not steal the show from your bedroom or living room. There are a lot of things to love in this table, all of which fit nicely at the end of a couch or chair. Minimalism is key here. House your vintage vinyl in retro-chic style with this understated audio rack. Made from solid hardwoods in a paprika-toned finish, this charismatic design features a mid-century modern-inspired silhouette with four flared, tapered round legs. 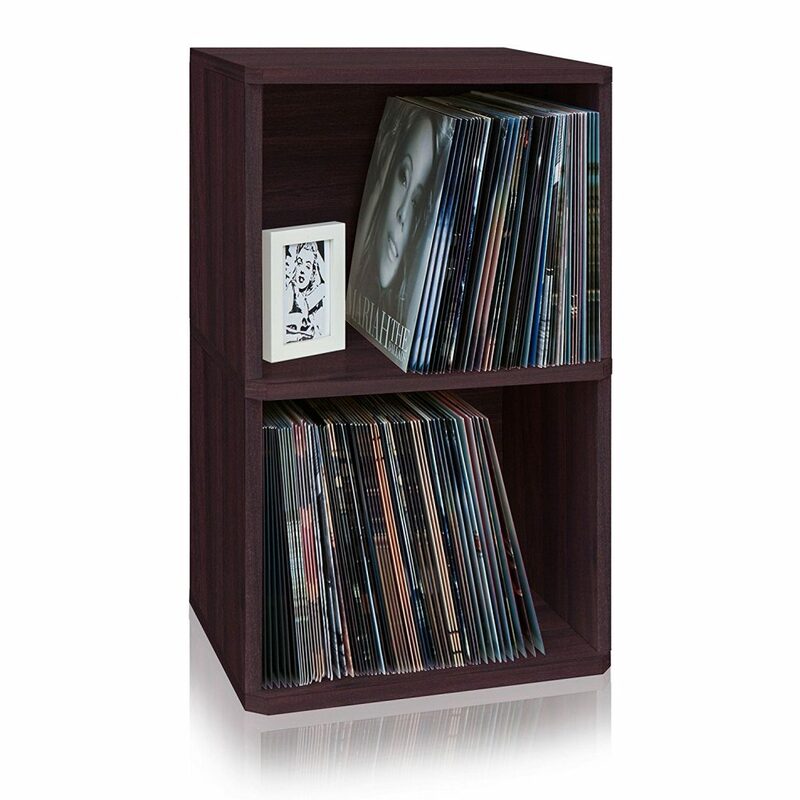 Its lower shelf features wire holders designed to hold a row of your favorite records vertically to avoid warping, while the smooth tabletop offers a perfect platform for your preferred record player. This is a great table if you are not into frills or big messages in your living room. Perfect for tying together a turntable and the rest of a room, this stand from Corrigan is great for the understated look you may need. Last but not least, create a classic centerpiece for your living room with the Victrola wooden stand with record holder. 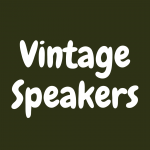 With its elegant real wood construction, it’s the perfect complement for all Victrola wooden music centers and even if you decided to shop off brand. There is not much else to this stand other than a great setup for storage and amazing finish to admire, so consider this if you need something mahogany in your living room or bedroom. You need a place to stand and show off your turntable, and this is the best of the best. 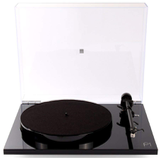 Take a look at these great turntable stands for decoration and function, and happy shopping! What are the Best Turntables Under $1,000? 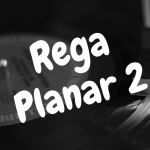 Rega Planar 2 review: Upgrade Over the Planar 1?